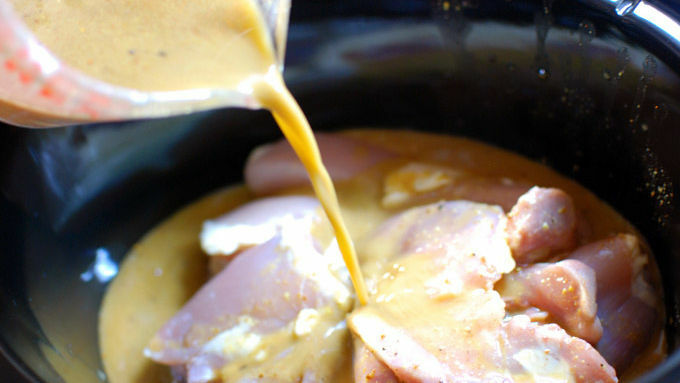 Mix the ingredients for the pulled chicken in the slow cooker and turn it on High for 6 hours. Mix the slaw ingredients and chill. Shred the chicken and serve on the buns. 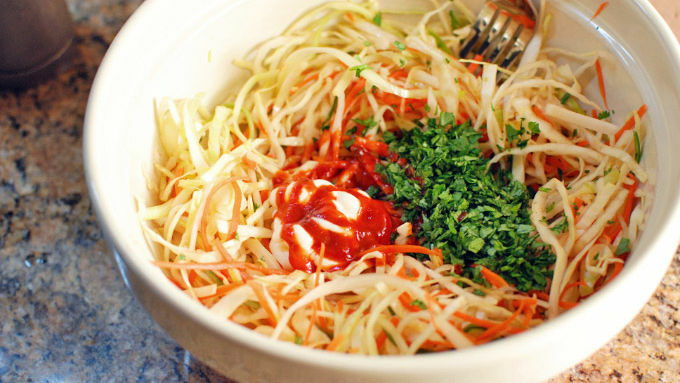 Top with some slaw. Tangy North Carolina-style BBQ is a unique way to dress up chicken sandwiches with tons of flavor. Pulled chicken from the slow cooker is an easy way to enjoy BBQ without all the work. Slow cooked pulled chicken or pork is always such a dinner win because it's so easy and satisfying. The only problem is, it starts to get old after awhile. That’s where this recipe comes in to save the day! This pulled chicken is cooked in an easy, homemade North Carolina style BBQ sauce. North Carolina style sauces are vinegar-based instead of tomato (or sugar-based, like most store-bought BBQ), so it has an awesome tanginess that runs deep throughout the chicken. 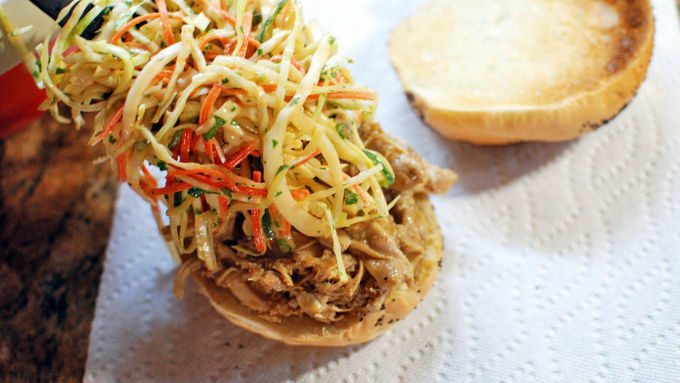 Top the sandwiches with a simple slaw and you have dinner on the table with minimal effort and maximum deliciousness. 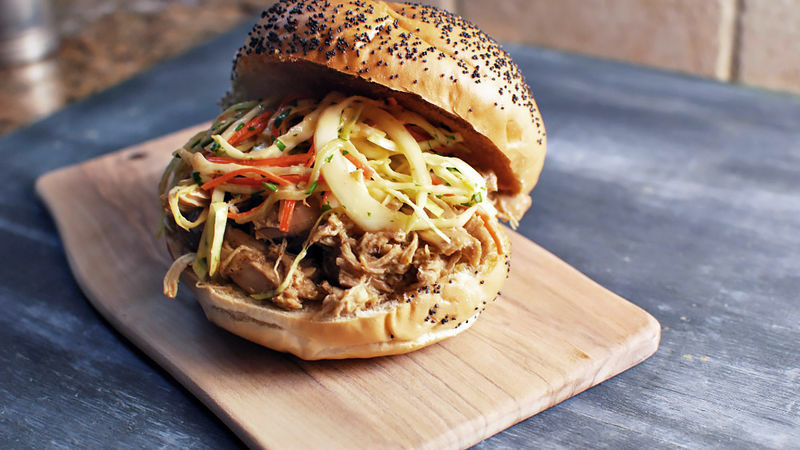 This sandwich has amazing textures and flavors: deep, savory, chewy meat that has a nice tang to it with fresh crunchy slaw and that soft pillowy bread.